This French verdure tapestry "Park" shows a lovely fountain and garden scene in the countryside. Here in this work we see a cascade of water near ancient columns, located in the countryside. This verdure or landscape art is in the distinctive French verdure style, where foliage is rendered in a stylized way to accentuate their beauty. 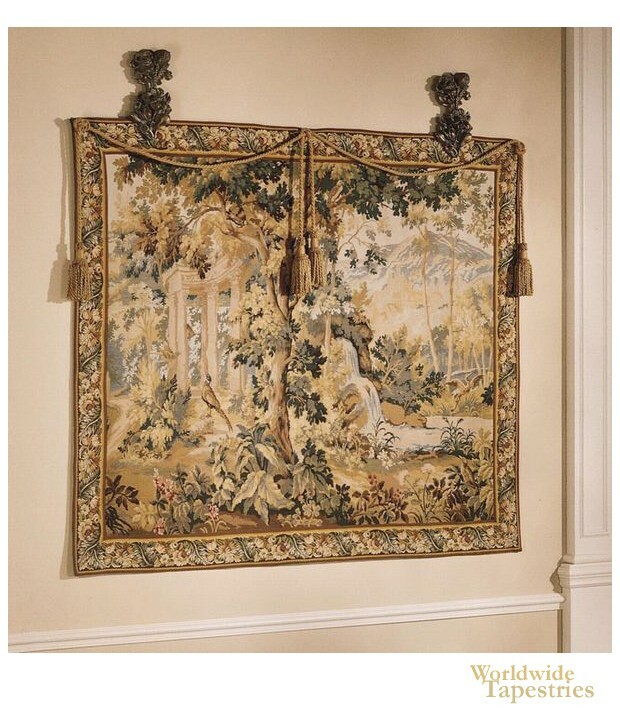 This landscape tapestry "Park" is backed with a lining and has a tunnel for easy hanging. Note: tapestry rod, tassels and accessories, where pictured, are not included in the price. Dimensions: W 81" x H 62"